The Hylas Collection features the best Hylas yachts available. This Collection is renowned for including well-maintained Hylas yachts that are prepared for the new owners and often represent the best boats from each Hylas generation. Collection Yachts maintains a high standard for every boat in the Hylas Collection and offers unrivaled support to new owners. 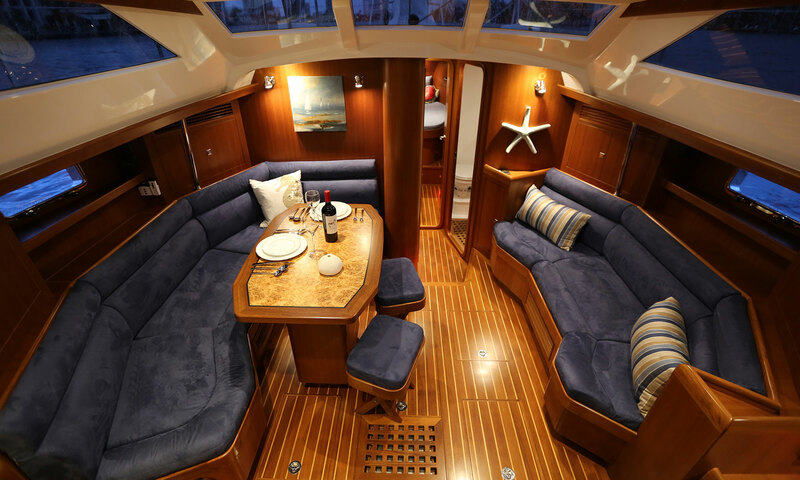 Aquaticus is undoubtedly the most highly specified Hylas 56 created. A fast boat that is beautiful to look at and functional in every way possible. One of a kind and a true sailing yacht, Aquaticus stands out amongst other boats in her class. When considering a firm to sell your Hylas, the top choice is clear. The Hylas Collection by Collection Yachts gives owners not only expertise regarding the market and unmatched knowledge of Hylas Yachts, but also the most extensive yacht marketing available.